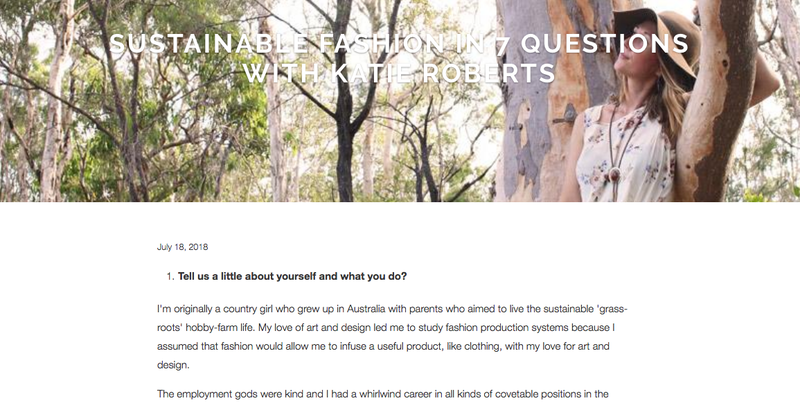 The lovely people over at Elvis and Kressie took time out from their busy schedule of making luxury reclaimed accessories to ask Sustainability in Style founder Katie Roberts some questions as part of their ‘Seven Questions With’ blog series. You can enjoy reading all about it below. I’m originally a country girl who grew up in Australia with parents who aimed to live the sustainable ‘grass-roots’ hobby-farm life. My love of art and design led me to study fashion production systems because I assumed that fashion would allow me to infuse a useful product, like clothing, with my love for art and design.